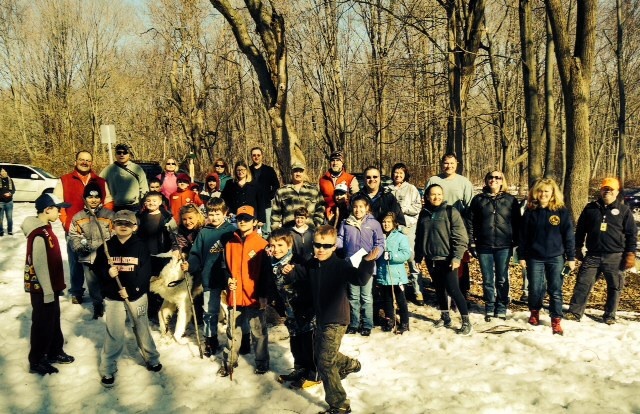 Posted on March 19, 2014 by Sandie D.
Our hike on Saturday, March 15th was a big success with over 50 people of all ages in attendance! Here’s a pic of those who were able to stay still long enough to be in it… We enjoyed a beautiful winter day and scenic views of the Succasunna Valley. Stay tuned for our updated list of upcoming events!